Wethersfield, CT – The Dryer Vent Cleaning Wizard is a force for neighborhood safety as he works to encourage public awareness of the importance of dryer vent maintenance. John Moffat, owner of Dryer Vent Wizard recalls a dryer fire that killed a 5 year old child. Most dryer fires are caused by a clogged dryer vent; therefore, easily prevented with service by the Wizard. The Wizard will never forget the dryer fire that engulfed a mobile home and killed a 5 year old child that was trapped inside. Neighbors tried to save the little girl, but the smoke and flames were too intense. Two out of three children who were awakened by smoke detectors escaped and ran to their grandmother’s trailer nearby to call 911. The parents were not home when the fire started. 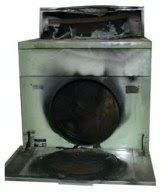 According to service technicians with Dryer Vent Wizard (http://wethersfieldct.dryerventcleaningnow.com/) over 17,000 dryer fires occur annually, with failure to clean dryer vents being the number one cause. John Moffat works hard to prevent this from occurring in his home town by educating his customers about proper dryer vent installation and dryer vent cleaning service. He contacts them each year to remind them to have a dryer vent inspection and service. He makes sure his customers understand how their dryer vent system works and advises them to never leave home or go to sleep when the dryer is running. Though clogged dryer vent systems are the leading cause of dryer fires, John Moffat is advising consumers to have all their appliances, including the clothes dryer and dryer vent system installed by a certified professional. Faulty electrical outlets, leaky gas lines and poorly installed dryer vent systems can be hazardous. Moffat also tells residents to be careful of what is stored near the dryer. In the event of a fire, cardboard boxes and flammable liquids provide fuel for the fire to spread rapidly. Wethersfield CT – The Wethersfield Dryer Vent Cleaning Wizard reminds area residents to check their dryer vent cover while they are outside raking leaves, shoveling snow or performing other home maintenance tasks. Seasonal home maintenance is necessary care for the home and can eliminate safety hazards. According to John Moffat, owner of Dryer Vent Wizard, it is not uncommon for damaged dryer vents to go undetected, and cause other problems in the home. The all important dryer vent system is too often forgotten, but homeowners may notice damaged dryer vent covers while performing outdoor maintenance chores, but repairing the problem is often put off as a low priority task. Dryer vent repair may be necessary if the hood is cracked, surrounded by mold and moss or the caulk around it is deteriorating. This allows cold air to get into the home. Repairing or replacing the dryer vent and properly sealing the opening can save money on energy expenses. Over 17,000 dryer related fires occur each year, with most of them caused by failure to clean dryer vents. The Wizard (http://dryerventcleaningwethersfieldct.blogspot.com/) warns residents that poorly vented gas dryers can be a carbon monoxide risk. Those who have never had dryer vent cleaning service performed by a professional dryer exhaust technician could be at risk of having a dryer fire. The Wizard finds a problem with 9 out of 10 dryer vent systems that he inspects. Dryer Vent Wizard is the most reliable dryer vent cleaning company in Connecticut, with three Wizards who manage professional dryer exhaust technicians across the state. Services performed by the Wizard ensure clothes dryers are fire-safe and energy efficient. 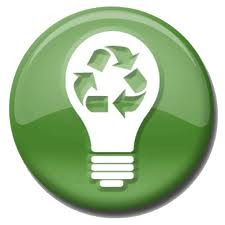 Each Dryer Vent Wizard is independently owned and operated; but all Wizards are working toward a common goal to make clothes dryers safer and greener. Visit http://www.dryerventcleaningwethersfield.com/ to learn more. The Wethersfield Dryer Vent Cleaning Wizard provides an important service while educating customers about home and health hazards associated with poorly vented clothes dryers. The most common fires in homes today are caused by a clogged or inferior dryer vent system. An inspection by a qualified dryer vent service technician can save the home, prevent costly dryer repairs and promote healthier indoor air quality. According to the Wethersfield Dryer Vent Cleaning Wizard, some popular types of dryer vent hoses are now out of code and need to be replaced as they actually add to the fire danger. The old soft hoses made of plastic or vinyl can catch fire or crack and allow heated, moist air to vent into the house rather than outside. The accordion shape of these older dryer vent hoses adds to the problem as it gives lint a place to begin building up eventually to what could be a devastating clog. New dryer vent installation by the Wizard will ensure the system is working safely and efficiently. 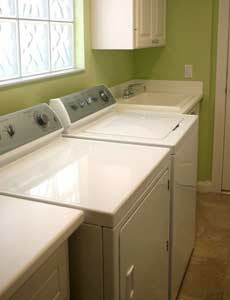 Visit http://www.HartfordTollandWindhamCountyCT.DryerVentCleaningNow.com to schedule an inspection. The Wethersfield Dryer Vent Cleaning Wizard only uses best material to bring the dryer vent system to code like a rigid metal dryer vent hose. This hose is smooth inside and helps prevent dangerous lint build up. The dryer vent technician can update the current home system so it meets the standard of local codes and home insurance providers. In most homes the dryer vent hose allows the heated air to be expelled outdoors. A dryer service technician will not only check and clean the dryer hose; he will tighten any loose connectors and will inspect and maintain the outside cap no matter if it is on the side of the house or on the roof. The Wethersfield Dryer Vent Cleaning Wizard will make sure the system is venting properly so that no humid air comes into the laundry room where it can cause a breeding place for mold and bacteria affecting the health of both family and pets. Dryer Vent Wizard specializes in dryer vent cleaning, repair and new dryer vent installation in homes and businesses. John Moffat serves consumers in Hartford, Bloomfield, Wethersfield and surrounding cities and communities. Visit http://www.dryerventcleaningwethersfield.com/ to learn more. Dryer vent cleaning and repair services can eliminate a serious fire hazard while increasing dryer performance and efficiency. Clean, well-maintained dryer vent systems extend the life of your clothes dryer and prevent a number of dryer related hazards. Dryer vent cleaning and/or dryer vent repair are critical tasks that should be on everyone’s fall maintenance and clean-up list. When you’re outside, raking leaves, trimming back the bushes and applying winterizer to the lawn, take a look at your dryer vent. Dryer vent repair may be necessary if the hood is cracked, surrounded by mold and moss or the caulk around it is deteriorating. This allows cold air into your home. Repairing or replacing the dryer vent and properly sealing the opening can save you money on your utility bills. Proper dryer vent installation and dryer vent cleaning are necessary to promote maximum air flow to save energy used by the clothes dryer. An inefficient dryer vent system can cost up to an extra $300 per year in energy costs. Over 17,000 clothes dryer related fires occur each year in the U.S., resulting in serious damage or loss of homes, injuries and death to residents and pets. Failure to clean dryer vents is the most common cause, followed by improper dryer vent installation. 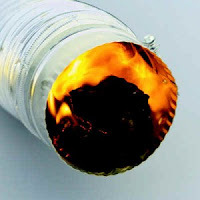 Other hazards include storing flammable materials like card board boxes near the dryer, drying rags that were soaked in combustible chemicals, electrical problems and dryer malfunction (usually caused by air-flow restriction). Air flow is the most important function of the clothes dryer. Without air flow, the dryer will not work. As the dryer forces hot air through tumbling laundry; the heat and moisture must be able to escape the drum through the dryer ducts to the dryer vent outside. Clean Dryer Vents – Get the Lint Out! As laundry tumbles in the dryer, lint is created. With proper air flow, the lint is removed from your clothes. About 60% of the lint removed from the laundry ends up in the lint screen that should be cleaned after each load. The other 40% escapes into the back of the clothes dryer and the dryer ducts. Contrary to popular belief, very little of the lint will actually go out through the dryer vent outside. 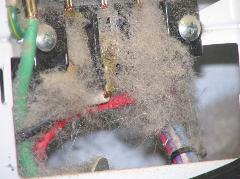 The hot, moist lint sticks to the sides of the dryer ducts where it forms a hard paste. As the lint continues to accumulate, air flow is restricted. Lint inside the dryer hinders the operation of belts, pulleys and bearings. As the moving parts inside the dryer become worn, the dryer becomes likely to throw a spark. Air flow sends the spark right into the dryer duct where it can cause the combustible lint to ignite. 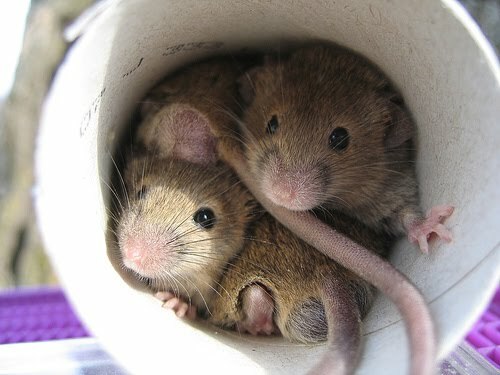 Birds, Bees and small animals may be attracted to the nice warm hole in the side of your home. They set up housekeeping, build a nest and block air flow. They might even find their way into your home. This is another reason to check the dryer vent cover outside when you are performing your seasonal fall maintenance. All gas powered appliances must be properly vented to prevent carbon monoxide poisoning. Most people pay close attention to furnace cleaning and maintenance for this reason; however, few think about the clothes dryer. Think about what venting is for; the purpose of venting is to move air or release air. An inferior dryer vent system can result in a carbon monoxide leak. Proper dryer vent maintenance can go a long way in preventing fires and reducing energy. In addition, it eliminates the threat of carbon monoxide if you have a gas dryer. Dryer vent cleaning is recommended annually to remove the lint from the dryer ducts, the dryer vent, and inside the back of the dryer. John Moffat owns Dryer Vent Wizard of Hartford County, specializing in professional dryer vent installation and dryer vent cleaning for homes and businesses, apartments and condos, animal shelters and hair salons, public laundries and spas; anyone who owns and operates a clothes dryer.